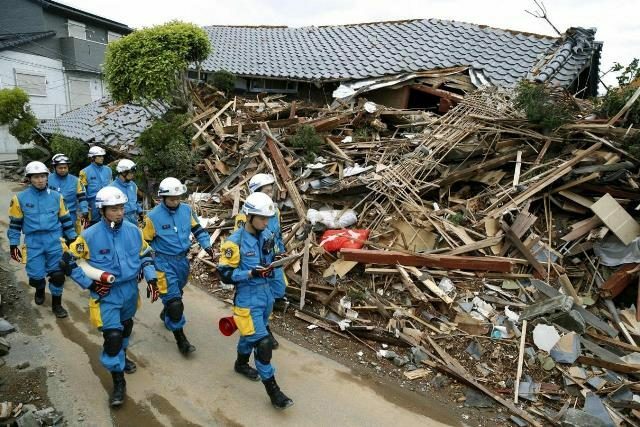 At least one person was killed and 32 are missing, Japanese media reported, after a powerful earthquake paralysed the northern island of Hokkaido on Thursday, triggering landslides and knocking out power to its 5.3 million residents. The utility said it wasn’t clear when electricity would be restored to 2.95 million households. The trade and industry ministry told the utility to restart the coal-fired Tomato-Atsuma power plant within a few hours, Trade Minister Hiroshige Seko said. Roof tiles and water could be seen on the floor at Hokkaido’s main airport, New Chitose Airport, which would be closed for at least Thursday. New Chitose is a major tourist gateway to the island, known for its mountains, lakes and abundant farmland and seafood, and more than 200 flights and 40,000 passengers would be affected, Kyodo News Agency said. The quake, which hit at 3:08am, posed no tsunami risk, the Japan Meteorological Agency said. The U.S. Geological Survey said it struck some 68 km (42 miles) southeast of Sapporo, Hokkaido’s main city. It registered a strong 6 on Japan’s 7-point earthquake scale. Abe arrived at his office before 6 a.m. and told reporters his government had set up a command center to coordinate relief and rescue. Sounding haggard, Abe said saving lives was his government’s top priority. Farming and tourism are two of the island’s biggest economic drivers, but there is some industry. Kirin Beer and Sapporo Beer both said factories were shut by the power outage, although they said no structural damage was found. A series of smaller shocks, including one with a magnitude of 5.4, followed the initial quake, Japan’s Meteorological Agency said. Agency official Toshiyuki Matsumori warned residents to take precautions for potential major aftershocks in coming days. Japan is situated on the “Ring of Fire” arc of volcanoes and oceanic trenches that partly encircles the Pacific Basin and accounts for about 20 percent of the world’s earthquakes of magnitude 6 or greater. Should we worry about radioactivity in food from Japan?